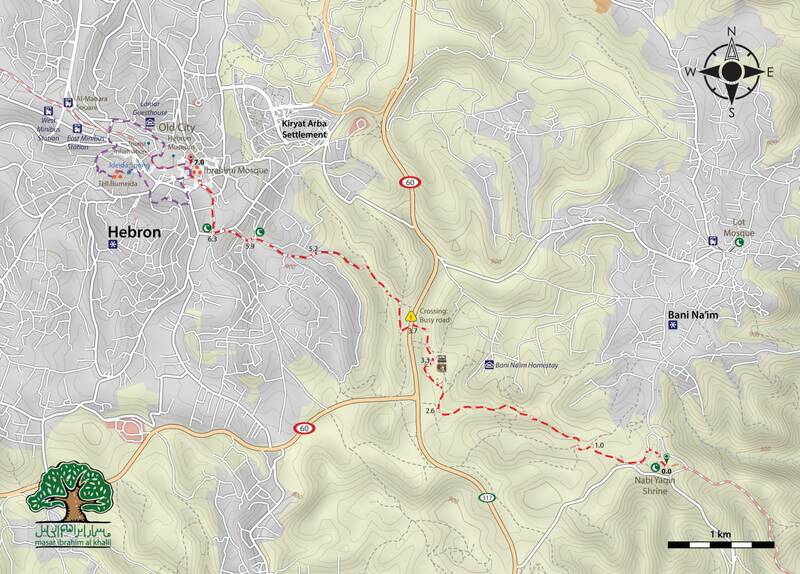 Join us on this day for a hike thats starts form Bani Naim to Hebron, which is the largest city in the West Bank. 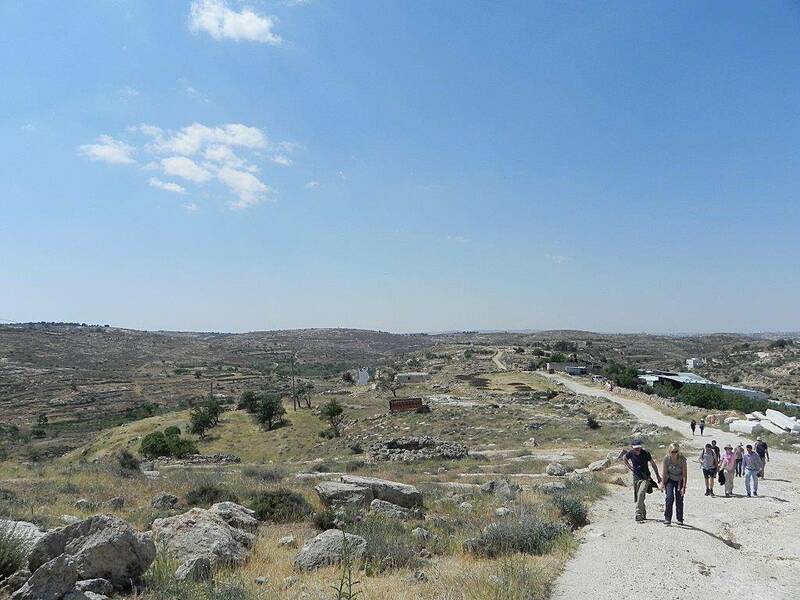 The terrain is rocky and uneven before reaching Hebron. 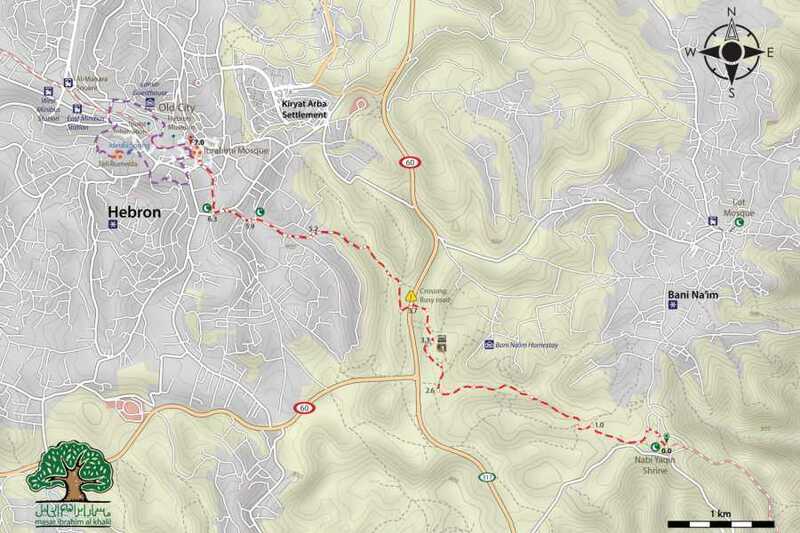 Then we will walk the narrow streets of the old quarters of the Old City of Hebron and admire its buildings, typical of traditional vernacular Mamluk and Ottoman architecture. We will have a chance to meet and chat with Hebron’s welcoming artisans and confectioners selling their goods along the Old City’s alleys. On our way, we will visit ancient olive and sesame presses, markets of the Old City, and al Haram al Ibrahimi (Ibrahimi Mosque). 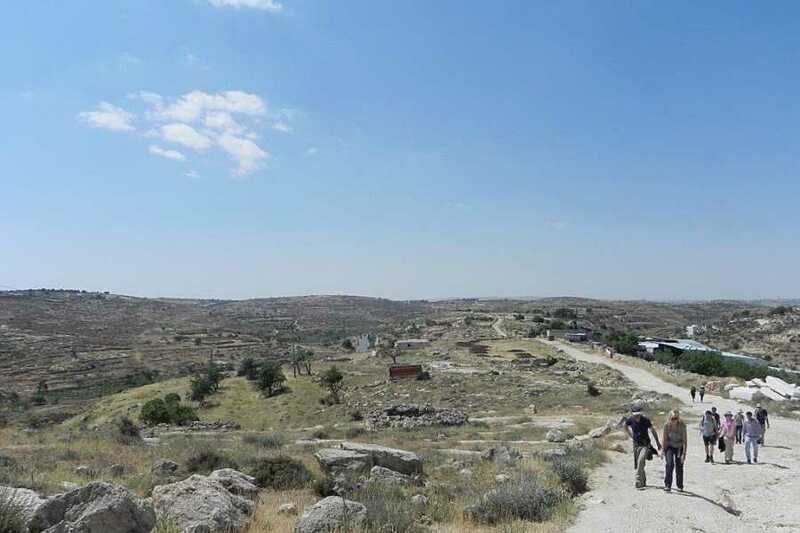 You will have the opportunity tto explore, discover rural Palestine, and have meaningful experiences, sharing meals, stories and developing deeper relations with the people of the rural communities along the Path.